The President of India, Shri Pranab Mukherjee today (December 14, 2015) delivered the Indira Gandhi Memorial Lecture of the Asiatic Society in Kolkata. Speaking on the topic of “National Integration”, the President said India has maintained remarkable unity and identity though the centuries, in spite of its vast size and immense diversity. National integration is essential for the idea of India to grow. With India emerging as an influential player in the international arena, the problems of our nation with a population of 1.28 billion can be successfully handled if we think together, work together and grow together. 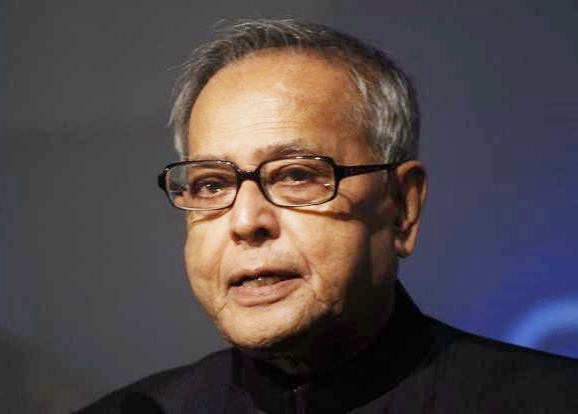 The President said the foundations of national integration must be laid in the minds and hearts of all Indians. Every citizen of this country must know what India is and has been. He must be broadly aware of our long history and the great civilizations that grew on this soil. All Indians must learn about the people who came here from different parts of the world and made their own contribution to the splendid mosaic that Indian culture is. Knowledge about different religions and great saints who took birth here should be part and parcel of everyone’s education. Most important of all, the basic unity that keeps us together amidst the immense diversity of our peoples, ethnicities, languages and cultures should be ingrained in every individual citizen, especially the youth. The President said national integration demands that every citizen recognise the primacy of national interest over group or individual interests. Sometimes, it does happen that regional interests overtake our commitment to the national interest. We have to guard against any such tendency. We must encourage a broad human outlook in all our citizens and educate them to rise above caste or communal loyalties. We must learn to respect the rights and sensitivities of minorities, both in letter and spirit. We must cultivate a secular and democratic outlook, and promote a way of life that is inclusive and does not interfere with civic duties and rights as well as responsibilities of individuals. We must strive to maintain an atmosphere where every community feels a part of the national narrative. The President said if India is to meet the challenges of development and carve an honourable place for itself in the comity of nations, its citizens must make efforts continuously to increase production, distribute wealth and provide services equitably among all the people. They must constantly endeavour for national advancement and for achieving a shared vision of a great India.